Hello healthy food lovers! It has been a while since I upload a new recipe and I am back with a rather delicious one… I love packing in fruity flavours to my cakes to add as much nutritional value to them as possible. 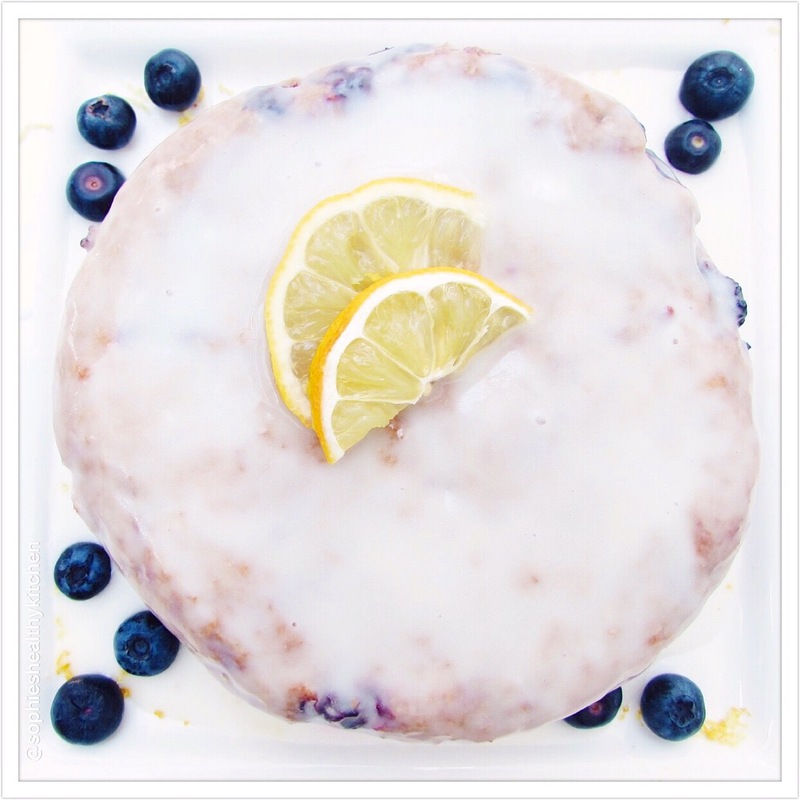 This healthy (and vegan) blueberry and lemon cake was seriously popular with my friends and family so I just had to share it with you guys! I have always loved blueberry and lemon together as I think the flavours compliment each other so beautifully. I added my chia seed jam to this recipe as it just adds that little bit more nutrition to it- more fruits and more ‘heart friendly’ ingredients! In a bowl, mix the flours and and baking soda. Prepare the flaxseed eggs in a small separate bowl, mixing one tablespoon of flaxseed with 3 tablespoons of water (times 2). Leave to one side. In a separate bowl, combine the coconut oil (melted), almond milk, apple cider vinegar and vanilla extract and agave nectar and gradually add to the dry ingredients. Then mix in the flaxseed eggs. Grate the zest of 1 or 2 lemons (depending on zesty you want the flavour to be- I used 2!) and add to the mixture. Fold in the lemon zest and add the blueberries. Then squeeze in about 1/3 of a cup of fresh lemon juice and stir in the chia seed jam. Once the mixture is well combined, pour the mixture into one of the prepared cake tin. Bake in the oven for approximately 25 minutes and allow to cool completely before icing. You can keep this cake fresh by refrigerating it in a container for up to 5 days. You can also check out my blueberry and vanilla vegan cake and stay up to date with more of my delicious plant based recipes via my instagram.